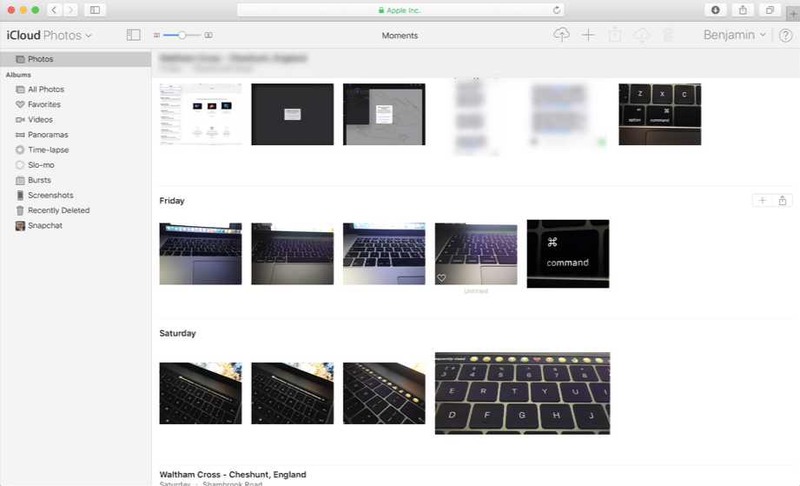 Apple iCloud Photos app is getting new features. The iCloud web Photos app allows users to access their Photo Library through a web browser, across Mac and Windows computers. Apple is testing new features on beta.icloud.com before rolling them out to everyone. The new update brings a redesigned Photos app featuring a sidebar and thumbnail scrubber. The new web Photos app also adds a new toolbar at the top of the screen with upload and download buttons as well as a new vertical sidebar listing the different albums available in the user’s library. The sidebar can be toggled visible or hidden. When viewing a particular photo, the Photos web app can now display a horizontal scrubber of images taken before and after the presented image. These features are already available in the Mac Photo app. The iCloud Photo app is still missing many features like Memories, Faces, and automatic scene/object recognition.